The Advanced Foot Control Program explores the anatomy of a dancer’s foot – in the way a dancer needs to know it! The new revised edition features a downloadable ebook and over three hours of accompanying online video in our exclusive ‘Members Area’. If you would prefer the full colour professionally printed workbook instead of the ebook, you can purchase this directly through Amazon. This guide has detailed, illustrated instructions of all of the exercises and helps you keep your notes and progress in one place. Get instant access to the Online Video Training Course of this unique program designed to help you improve your pointe range without a foot stretcher! To really improve your pointe range and achieve your ultimate potential it is essential to understand exactly where pointe range comes from and where you are restricted. Every foot is different and so the techniques that will improve it are different. Comprising of 41 clear and concise videos, totalling just under 2 hours play time, this course begins with a series of assessments to establish exactly what structures are restricting your pointe range. It then explores a diverse array of massage techniques, joint mobility exercises and fascial mobilisers to safely improve your pointe range. This is followed by an in depth look at retraining all of the muscles that stabilise the foot and ankle to allow you to actually use your new found pointe range in class! There are PDF downloads of the workbook for each section at the bottom of the Members Area. This allows you to print out the sheets you need, as well as a handy guide to plan out your individual training program. If you would prefer the full colour professionally printed workbook thats compliments this online course, you can purchase this directly through Amazon. This guide has detailed, illustrated instructions of all of the exercises and helps you keep your notes and progress in one place. Principal Artiste, Vicki Attard, and Physiotherapist for Dancers, Lisa Howell, have joined forces to present a unique program which covers safe dance practices and aesthetic components, that combine to create successful classical dancers. PLEASE NOTE: THIS DVD IS AVAILABLE IN 2 FORMATS. PLEASE MAKE SURE TO ORDER THE RIGHT FORMAT FOR YOUR COUNTRY. CLICK HERE to find out which version (PAL or NTSC) your country uses! Visit www.xe.com to check the current exchange rate. 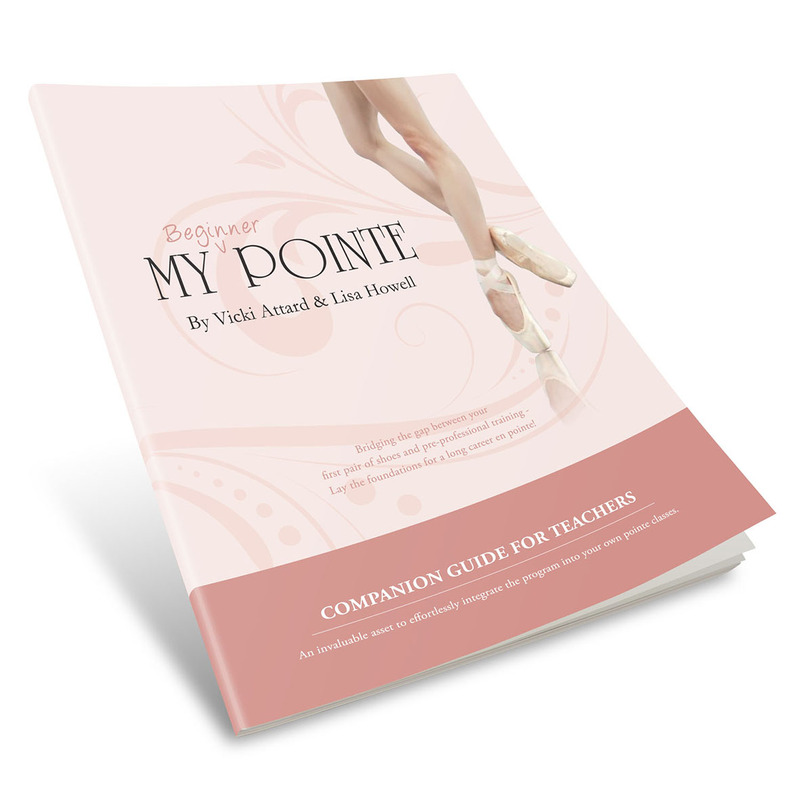 The Perfect Pointe Book was originally designed to help students and dance teachers safely prepare for pointe work. 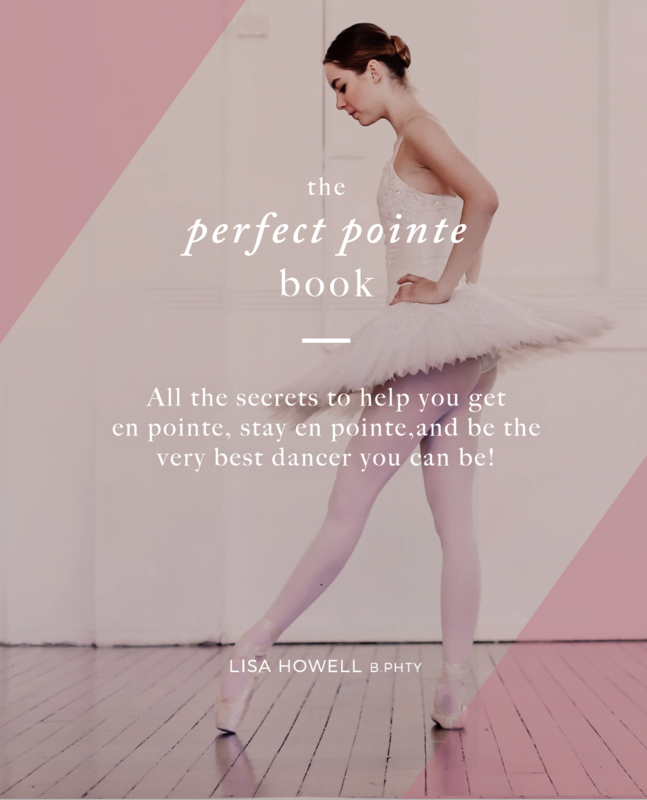 The four stages of tests and exercises within the book are ideal for pre-pointe preparation classes, students close to achieving pointe shoes and students already en pointe looking for extra strength and technique training. Please note that this is a digital product only and will give you access to the videos and ebook online. If you would like to purchase a hardcopy of the book, you can do so directly through Amazon. This guide has detailed, illustrated instructions of all of the exercises and help you keep you notes and progress in one place. 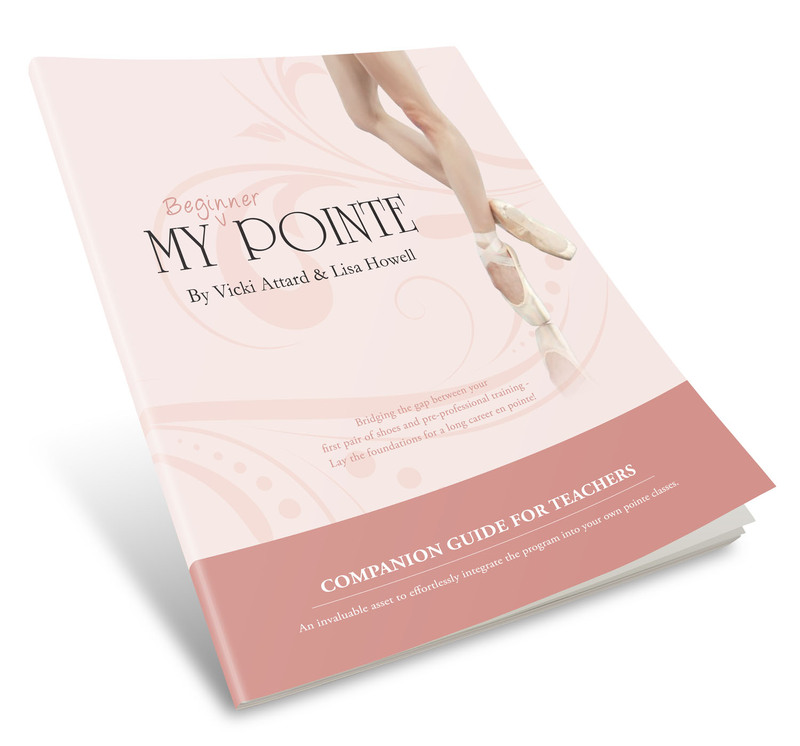 The Perfect Pointe Parent’s Manual is easy-to-read resource to help parents understand some of the demands that are placed on young dancers, and how best to support them. If you are from AUS or NZ get this product HERE for cheaper shipping! ‘The Perfect Pointe System’ takes the science of dance medicine out of the text book and into the classroom! Enjoy the combination of anatomical and scientific research in a clear and easy-to-use format to transform your teaching of pointe work to young students. 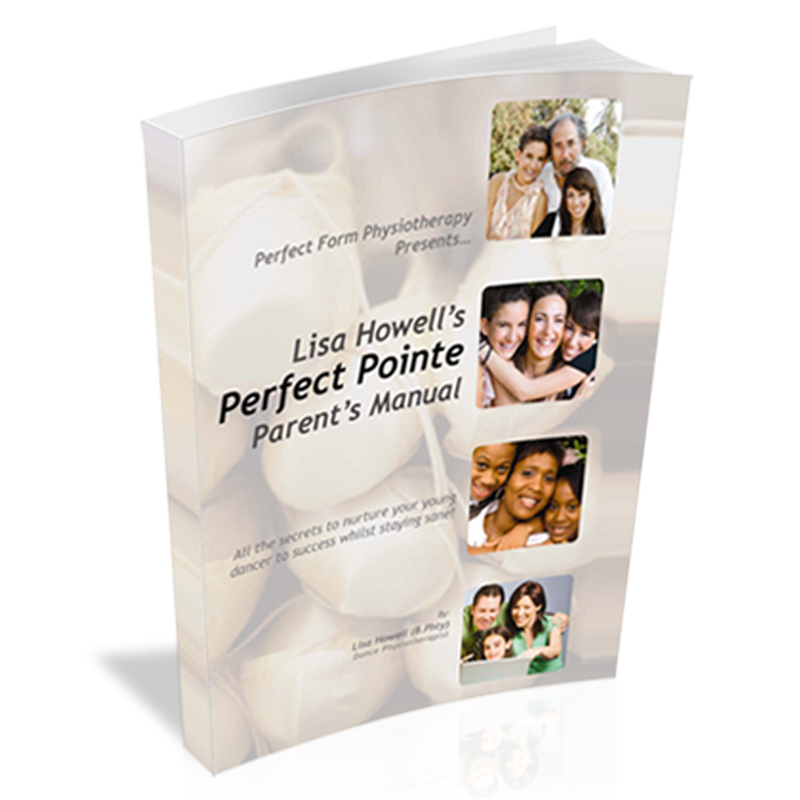 The original hard copy of The Perfect Pointe System is currently out of stock as Lisa is in the process of updating and reformatting the program. This will hopefully be launched mid next year. However, we have had a lot of enquiries about the program, and so we have created an online version of the program so you can get started straight away. You will then have the option of upgrading to the new version for a minimal fee when it has been released. Injury Report - No More Knee Pain!